The London collection offers classic beauty with clean lines. 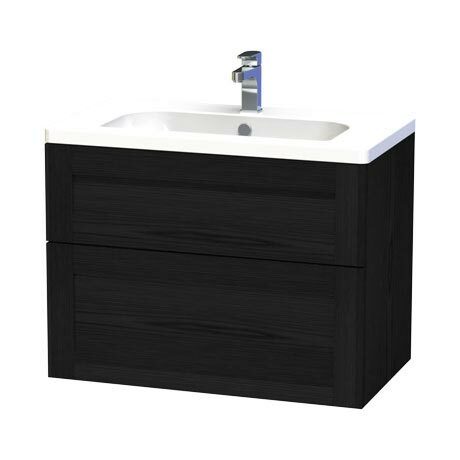 This black stained oak 80 Wall Hung Two Drawer Vanity Unit with Ceramic Basin features soft closing drawers, the drawers are sturdy, fully extendable and fitted with anti-slip mats. The top drawer has compartments in white painted wood that can easily be lifted out for cleaning and the bottom drawer is fitted with an adjustable bar to stop larger items from moving. This unit also comprises of a single tap hole D-shaped bowl ceramic basin and a pair of stylish chrome handles. 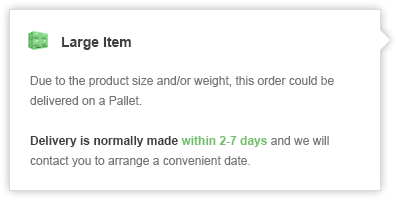 Fitted with mounting rails and brackets for adjustable and quick installation. Largely made of veneered panel materials. Drawer fronts are made of solid oak.